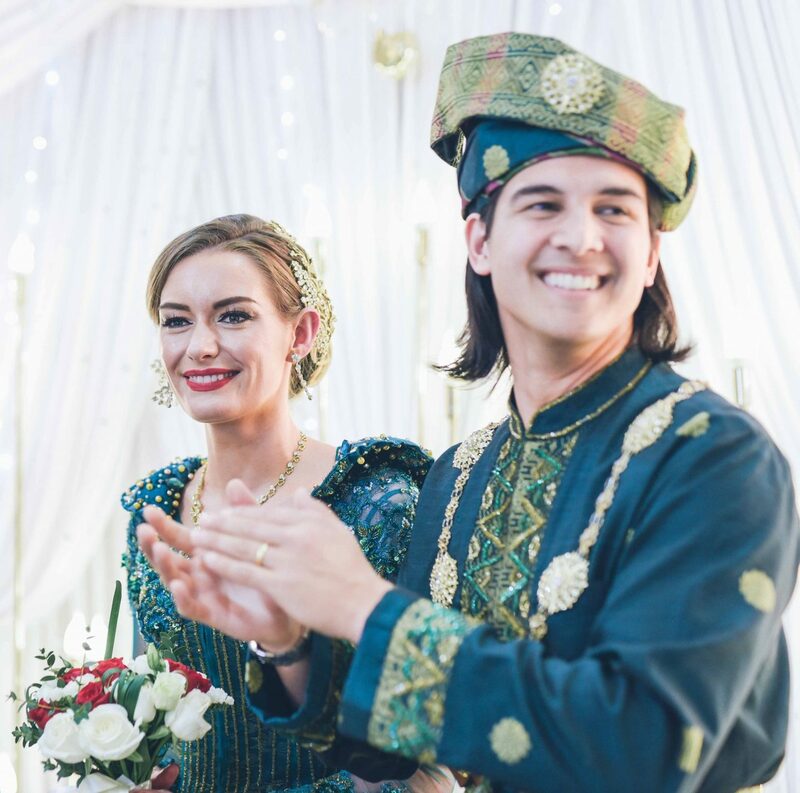 Today is the first anniversary of our Singapore wedding, I thought this was the perfect opportunity to share some memories with you from our Malay ceremony last year. 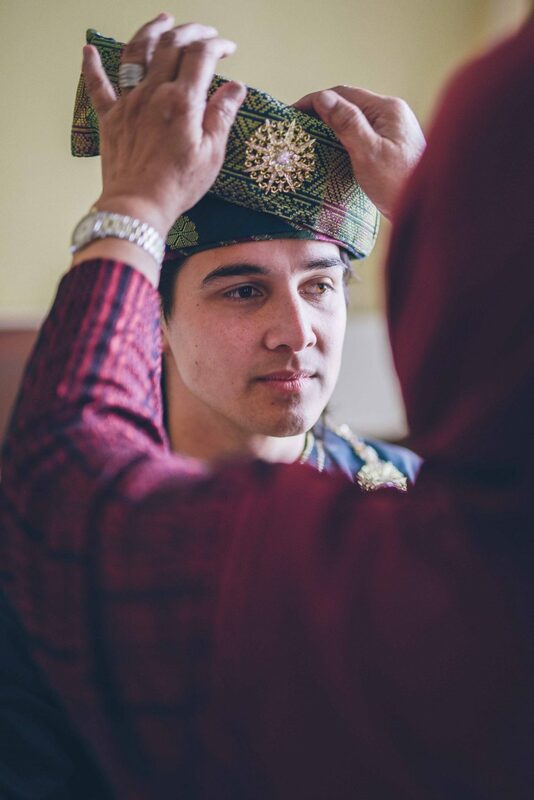 Zack & I had two wedding ceremonies to include our families that live on opposite sides of the world. Zack’s mum is from Singapore, where he still has a lot of family that live there. My family are all Scottish. 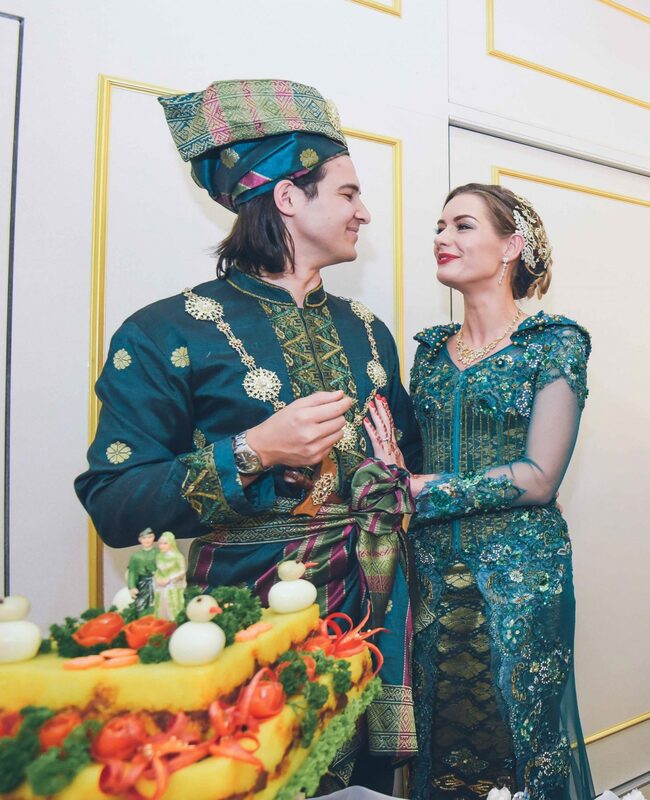 There was a lot of family that couldn’t be with us for our first ceremony in Portugal in 2017, so we had a second wedding ceremony in Singapore to celebrate with our loved ones there. 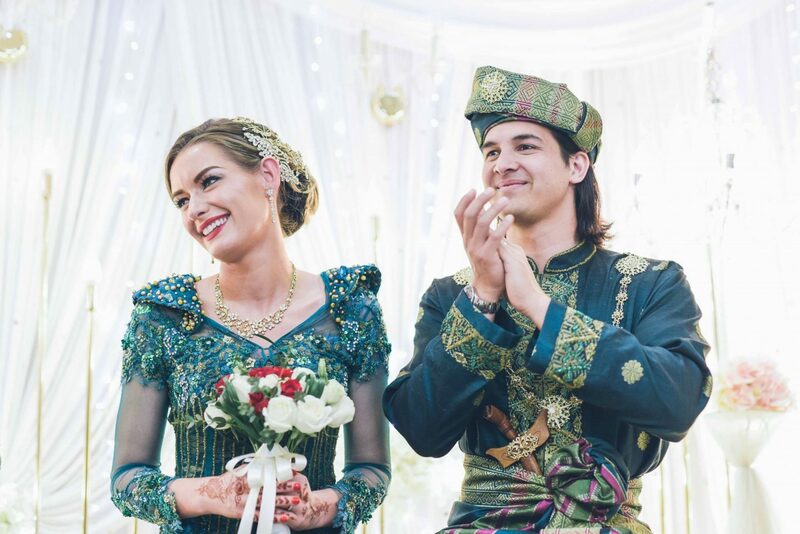 Here are some special moments from that day that will give you a bit of insight to what a Malay wedding reception is like. 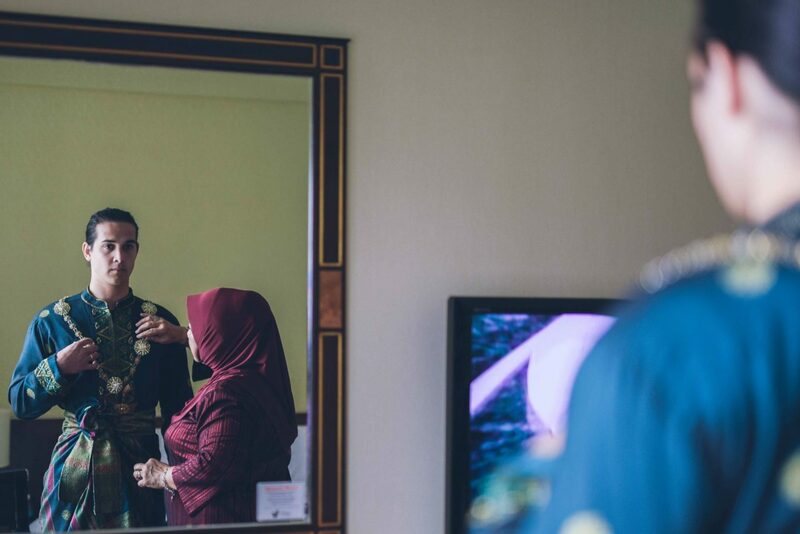 Photography by Satria Sadon and Zack’s Dad. For privacy reasons I have only shared images of Zack and myself. 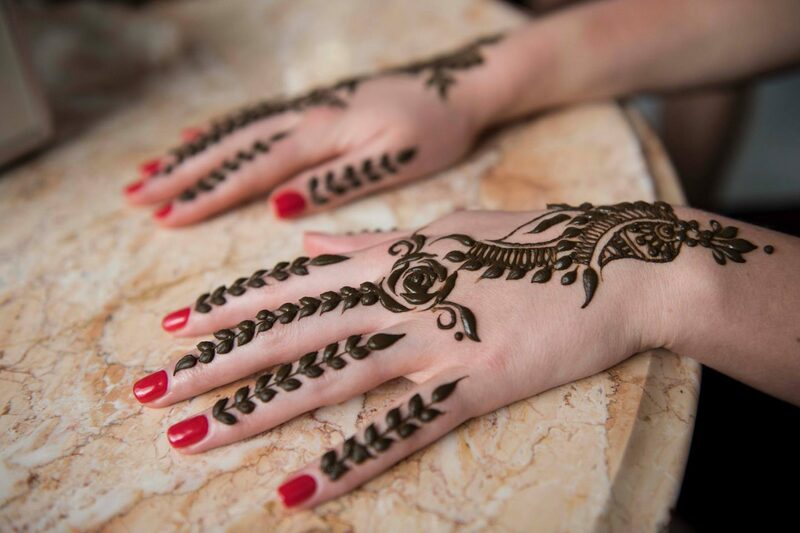 It is believed that henna gives blessings, luck and joy. 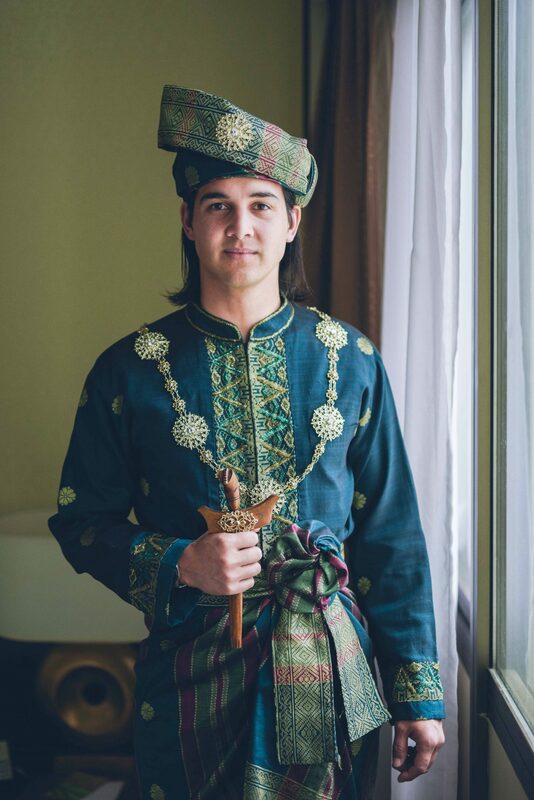 Before a Malaysian wedding, it is tradition to have a Berinai. 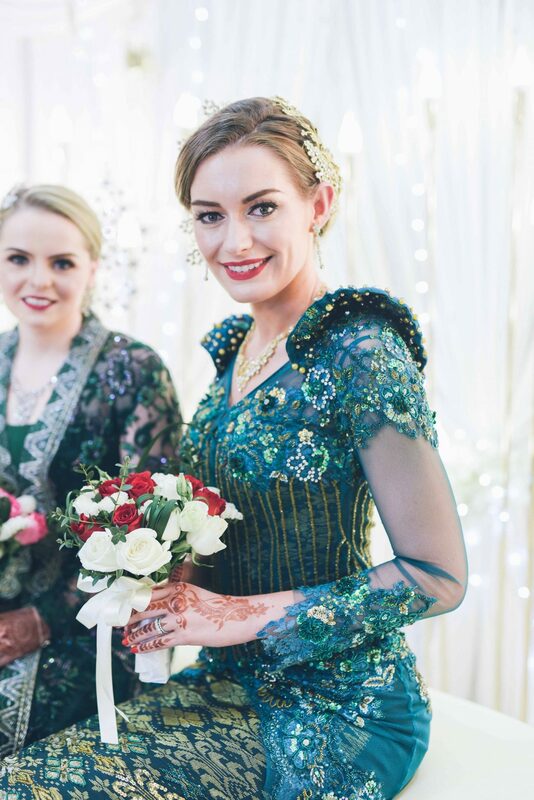 Two nights before our wedding, I had my henna night with the ladies from my Malay wedding (almost like a hen-do at home!). 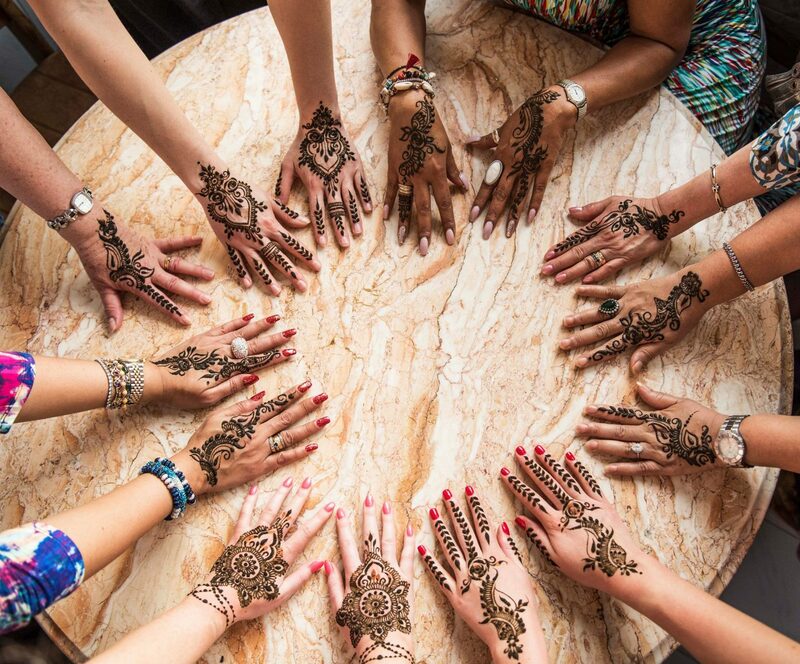 An intimate time for close friends & family to get together and start the celebrations while each of the ladies has her henna applied. 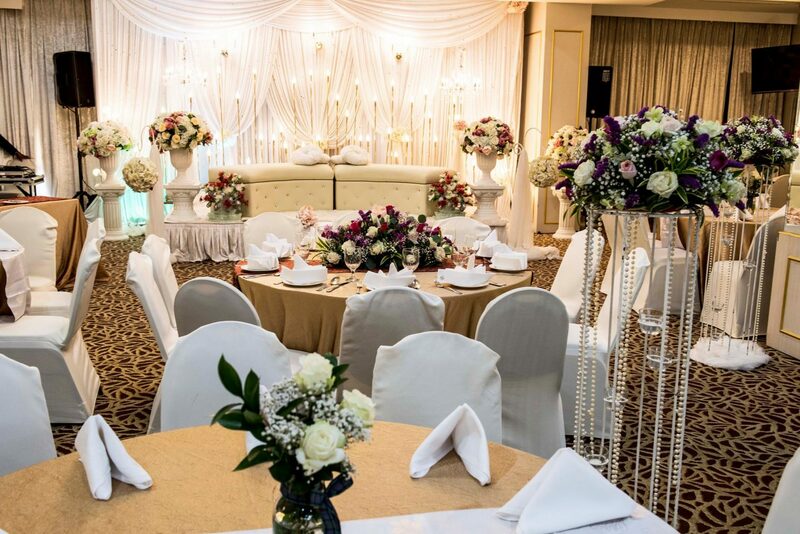 In Singapore, a wedding can span a whole weekend and take place in three different locations. In total it can be near 1000 guests. We had a miniature version of this in one location, where everyone could celebrate together. 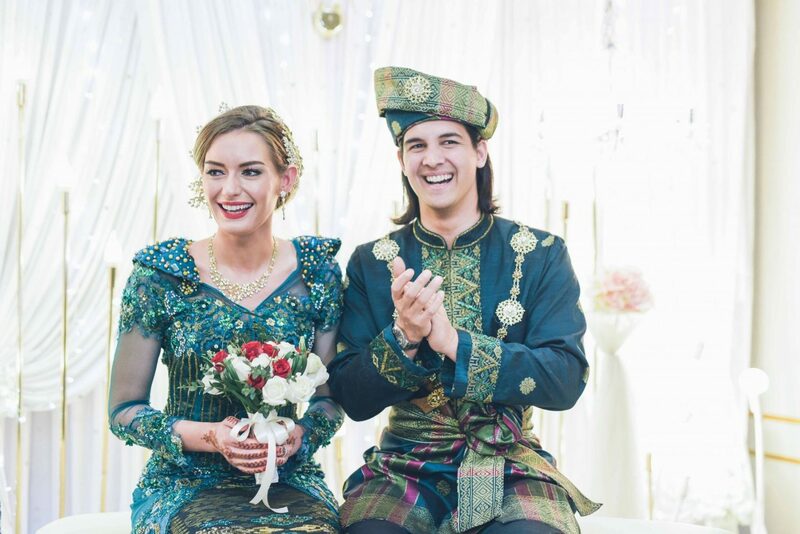 This was actually a double celebration as we shared the Singapore ceremony with Zack’s brother and his fiancé who were getting married later that year. 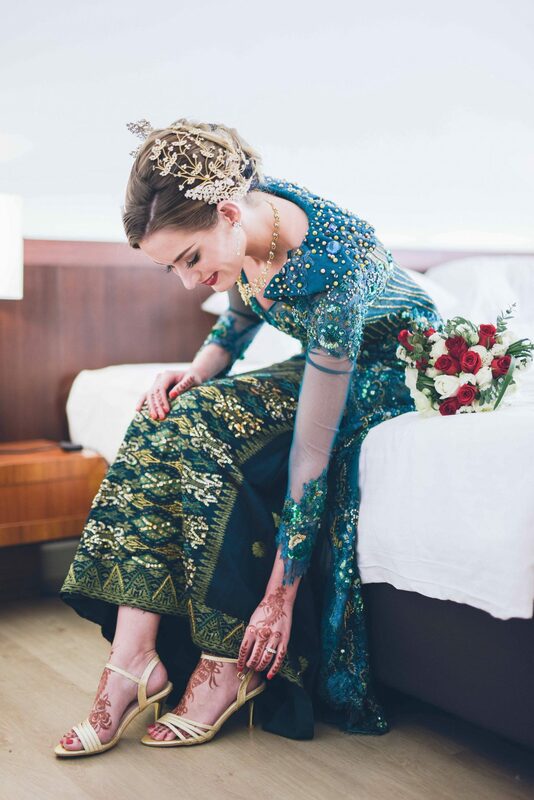 For the reception, as is Malay tradition; in order for the groom to be able to reach the bride he must first complete challenges from family. This involved lots of laughter which was a lovely way to start the reception. After completing lots of dance challenges, Zack was allowed to take his place beside me on the Pelamin (stage) and it was time for an afternoon of family, food and photos. 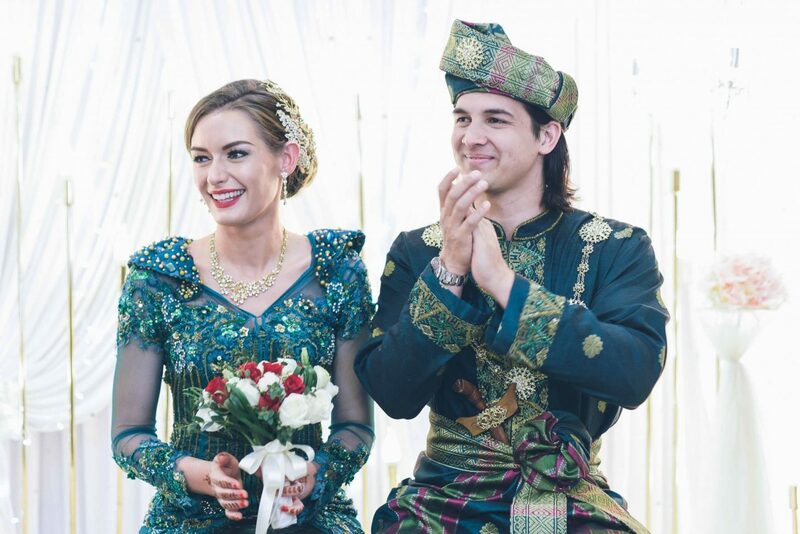 We sat side by side on the beautiful Pelamin in traditional Malay attire. 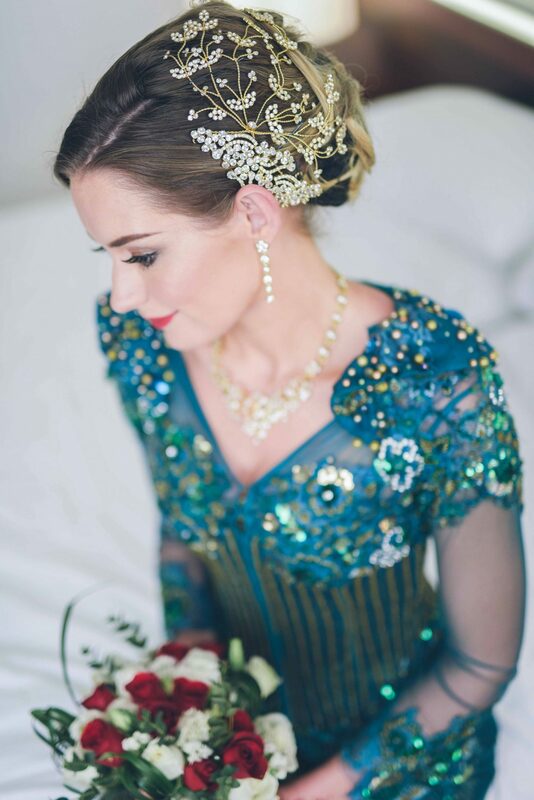 It felt like a fairytale. 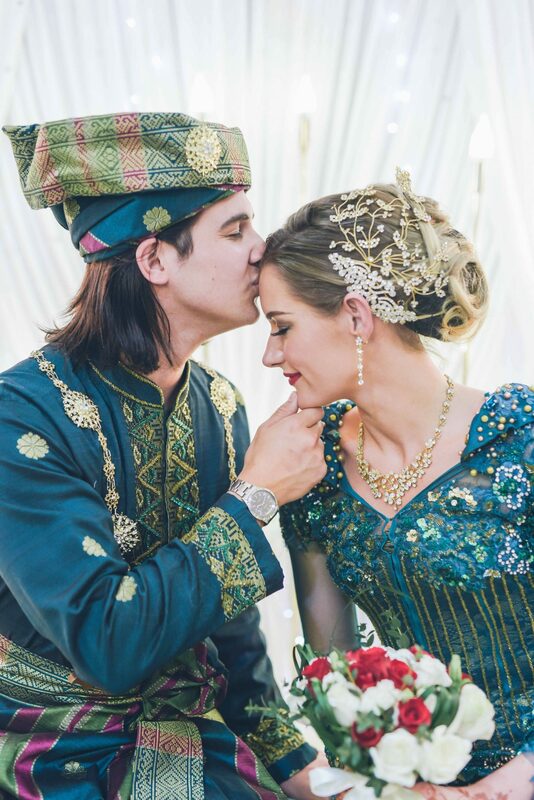 My favourite thing was how colourful and energetic the day was, from outfits to the guests. It really was a time of joy and celebration, the whole day was about family and fun. 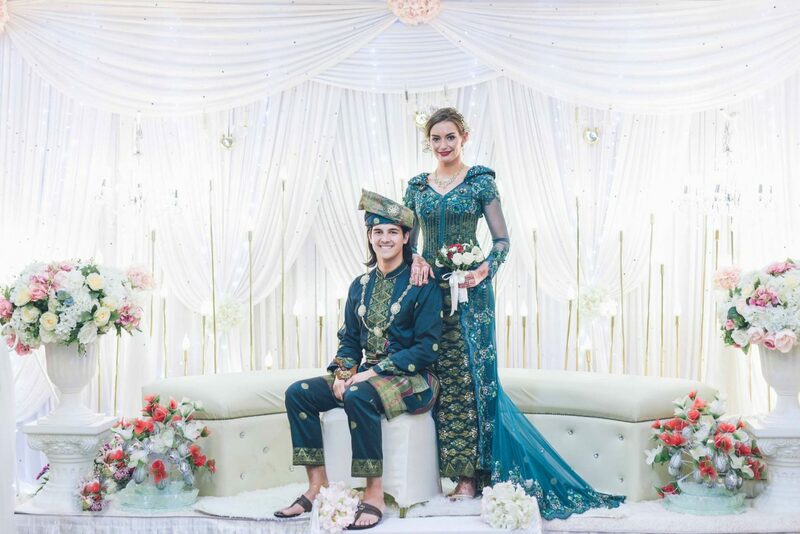 We wore traditional outfits from Fatimah Mohsin. When we went for our fittings, it was so much fun trying on all the bright colours and amazing jewellery. 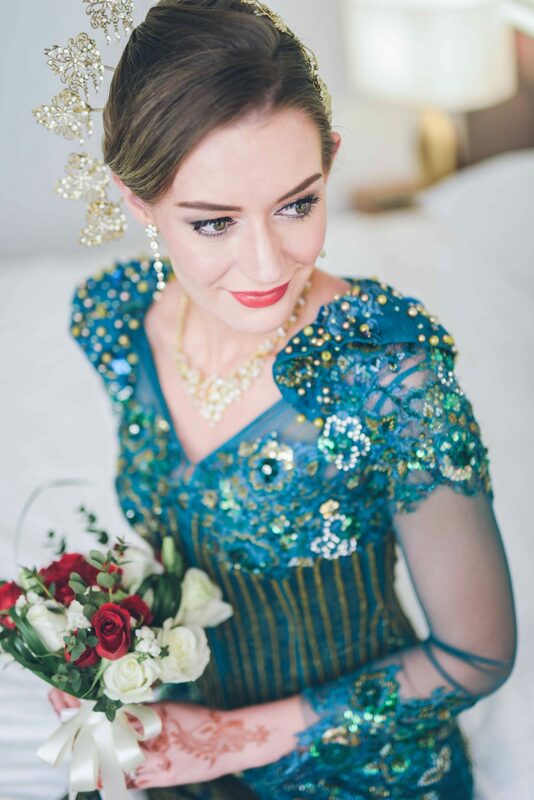 I love how vibrant the weddings are in Singapore. 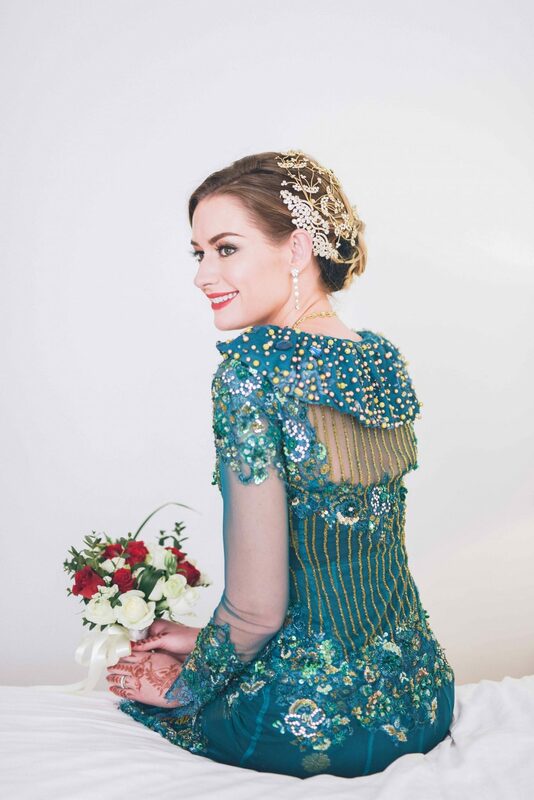 It was hard to choose a final outfit but I knew I wanted strong jewel colours of emerald green or ruby red. I chose the most amazing green outfit, Zack’s outfit was then arranged to match mine. The food was incredible. We had a selection of all kinds of traditional Singapore food; curries, rice & noodle dishes with lots of fresh fruit and amazing desserts. 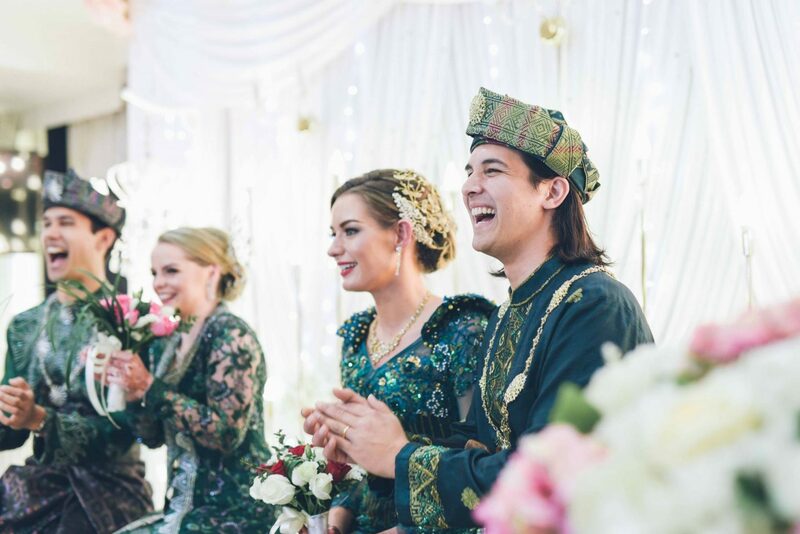 A Singapore wedding is very different to how we would have it in the UK. There is no formal sit down meal. Guests come and go at at time that suits them over the 4 hours and they can help themselves to food in that time. 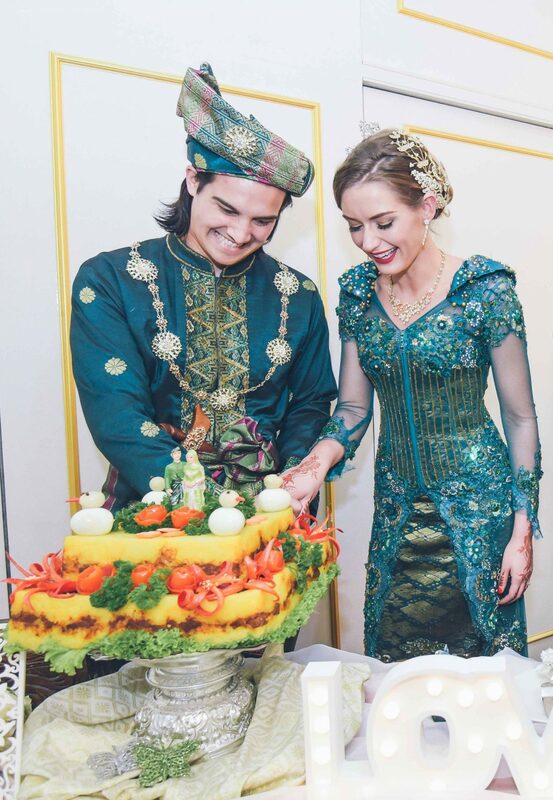 What was very different was the traditional Singapore wedding cake which savoury, made with glutenous rice and meat! 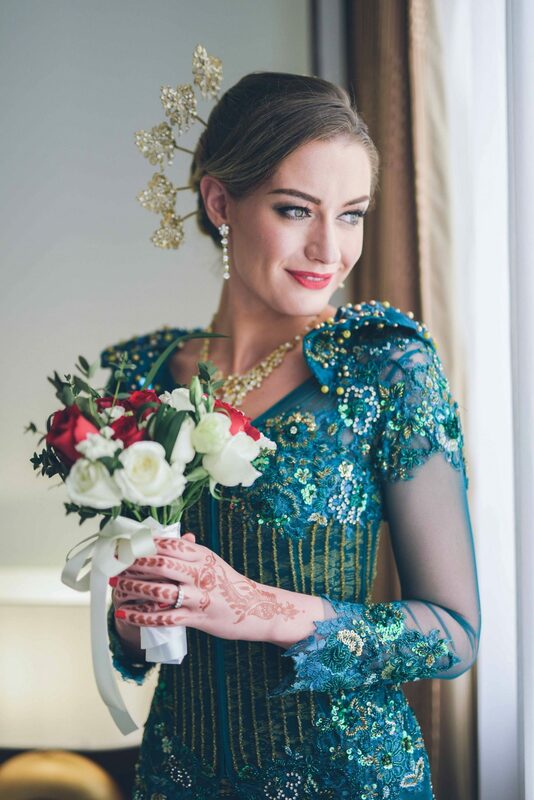 We absolutely loved our time celebrating in Singapore and can’t wait to go back later this year to be part of another family wedding. I wonder which colour we will wear this time?